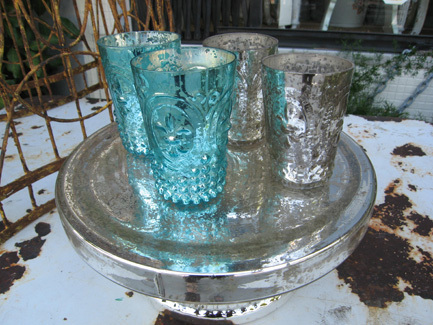 Because we love all things Paris, and Paris loves all things Mercury Glass, we created a section just for this revolving collection. 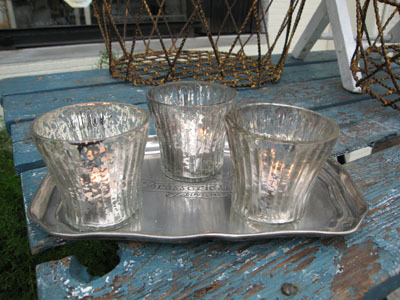 We mix antique versions in with these incredible reproductions in the boutique. 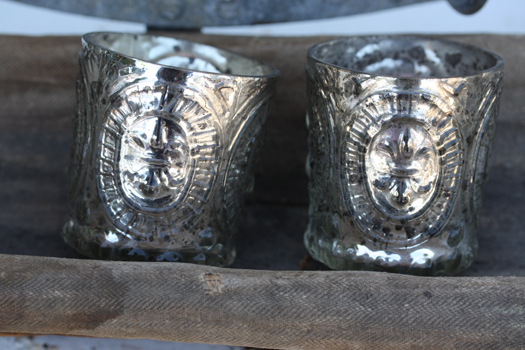 While we sell only the new ones online, contact us if you'd like pictures of our antiques. 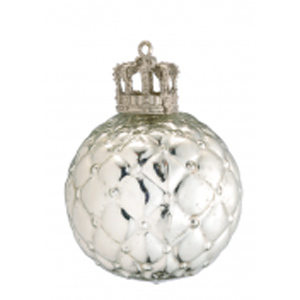 Beautiful reproduction mercury ball with quilted silver and GOLD AND SILVER CROWN atop. So lovely! Each with a hanging cord. Measures 3 x 2 1/4; You are purchasing ONE. Note orders under $25 incur a handling fee of $2.50 in addition to direct UPS charges; orders $25 and over have this handling fee waived. 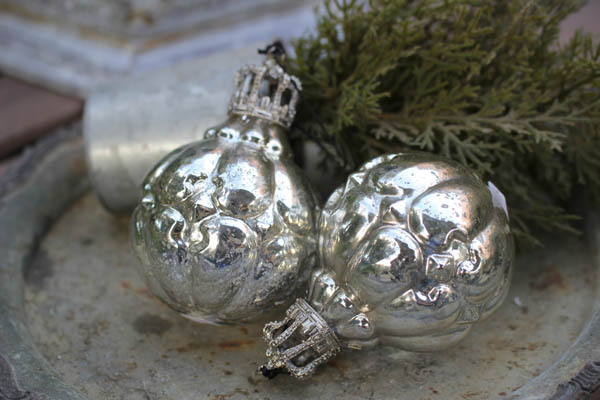 Beautiful reproduction mercury ball with distressed silver and GOLD AND SILVER CROWN atop. So lovely! Each with a hanging cord. Measures 3 x 2 1/4; You are purchasing ONE. Note all orders under $25 incur a $2.50 handling fee plus UPS shipping charges. Orders over $25 have this fee waived and only incur exact UPS shipping charges. 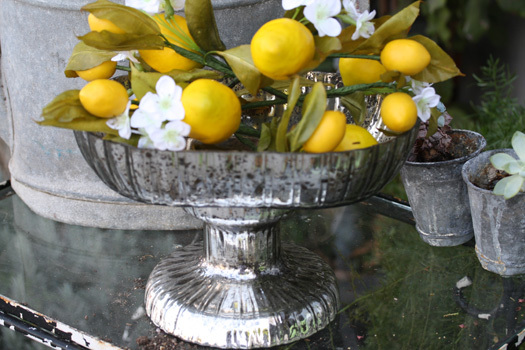 CLOSEOUT SALE GORGEOUS oval ribbed mercury bowl on our most favorite design feature eh-ver: a pedestal! Truly one of our more favorite finds. Great as a gift basket (see under Basket Bar our version for a gifts during Oscar season), floral arrangments, or just to hold a favorite collection of bits and bobs. Reproduction piece and not water safe. 8" H x 12" Wide x 8" Deep. Reg. Price $125.00 $52.00 On Sale, Lucky Dog! Darling reproduction mercury bird. It reminds us of a childhood parakeet, but you may see it as your own favorite bird breed. 6" H x 2" width at base. More Details+Reg. Price $36.00 $12.00 On Sale, Lucky Dog! 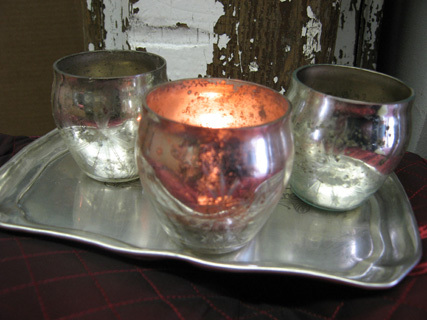 Slightly distressed silver with clear glass base. Measures approx 8" H x 3 1/2" base. Not water safe. THREE AVAILABLE. More Details+Reg. Price $62.00 $36.00 On Sale, Lucky Dog! Drop dead gorgeous! 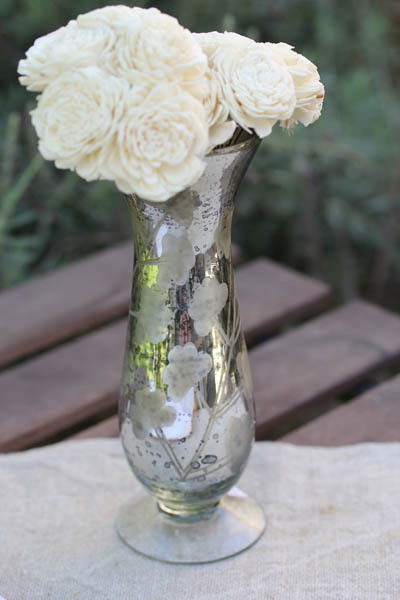 You'd be hard pressed to tell it from the real mercury glass. We can't get enough of these. Exquisite detailing. 13.5 x6. Imported. 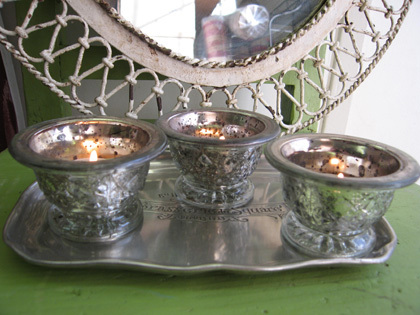 Fits our Trouee French candles sold separately. More Details+Reg. Price $130.00 $115.00 On Sale, Lucky Dog!